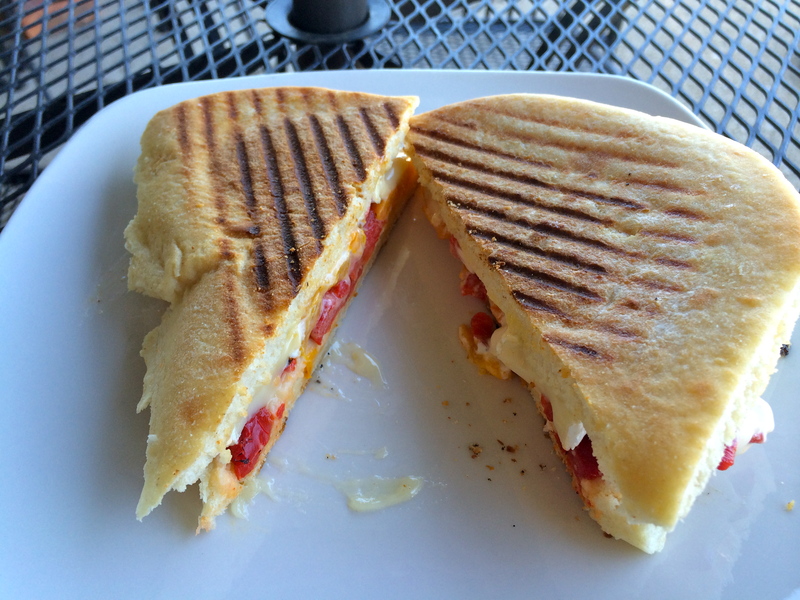 Today I was craving something filling and satisfying for lunch, and decided to stop by The Panini Press in Berkley. It’s a small shop that has been around in 5 years, tucked into a strip mall off of Woodward Avenue. The restaurant may not be big in size, but it sure is big on flavor. The Panini Press offers a nice selection of Paninis with catchy names of newspapers from way back, such as “The Kansas City Press” and “The Plymouth Pages.” I went with “The New York Herald” on Ciabatta bread, which has red and yellow peppers, creamy Brie cheese, and a dollop of Roasted Red Pepper mayo. I loved that the panini was gooey on the inside, but not the least bit soggy on the outside. Since the veggies and cheese were mild, I would suggest swapping the Roasted Red Pepper mayo for some Southwest Spicy mayo to add some zing. After I cleaned my plate, I chatted with two of The Panini Press chefs, who were friendly and welcoming. For my next visit, they recommended “The Tucson Tribune,” which has grilled chicken, bell peppers, grilled onion, Pepper Jack, and Southwest Spicy mayo (should’ve added that to mine)! I also learned that the produce is locally grown, the tuna is to die for, and the Ciabatta bread is the way to go (they also offer Multi-Grain bread, Gluten-free bread, Italian bread, white and wheat roll-ups, and lettuce wraps). This was a good lunch choice and is a perfect place to go on a sunny Saturday afternoon or during the workweek. I’m already contemplating my next Panini. Hmmm…. 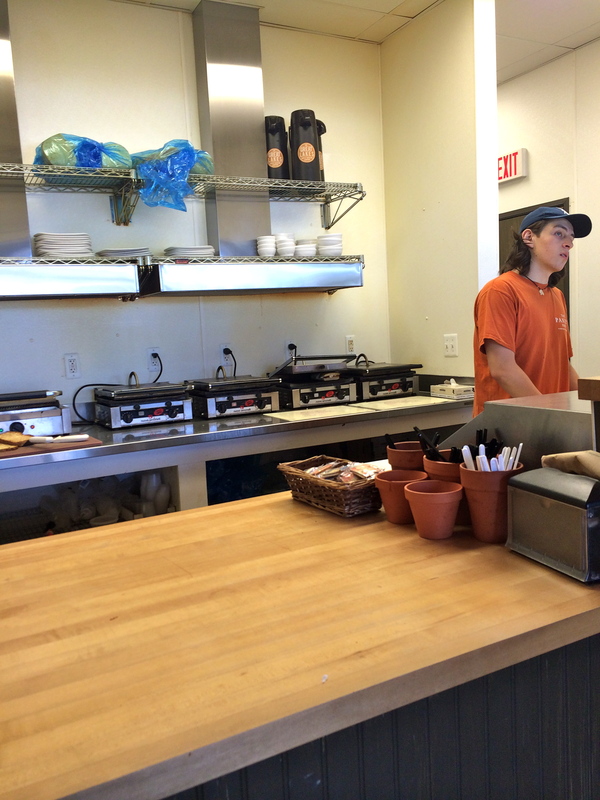 Chat with Coneys and Kale: Have you been to The Panini Press yet? If so, how was your experience? What do you like most about paninis?! I know I like ’em because they’re crispy and melty at the same time! Hours: Mon.-Fri. 11 a.m. – 7 p.m., Sun. 12 p.m. – 5 p.m.
Gotta try this place. Thanks for the review!